Please see the full list of current Ballet East 2017 Faculty below. Additional instructors TBA. of the Arts located in West Palm Beach. Nasby has been honored to choreograph works for students throughout the nation, direct full-length children’s ballets, and coach students for International Competitions such as Youth America Grand Prix and American Dance Competition. Balanchine's The Nutcracker TM. Chelsea has been recognized nationally for many outstanding achievements. Recent achievements include 2014, 2015, 2016 ADC-IBC Outstanding Choreographer, 2016 UBC Outstanding Choreographer, 2015 YAGP Outstanding Choreographer, 2014 and 2015-work selection to perform at the Youth America Grand Prix Stars of Today Meet the Stars of Tomorrow Gala. This summer, Nasby’s students will train at programs such as School of American Ballet, American Ballet Theater, Ellison Ballet, Haird Conservatory, Houston Ballet, Pacific Northwest Ballet, Joffrey Ballet Chicago, Ellison Ballet and Miami City Ballet to name a few. Nasby is a certified member of Florida Dance Masters and is a Member of The International Association for Dance Medicine and Science. Doreen Cafarella has been a dance educator for twenty-five years. In 1986, Cafarella founded Northern Ballet Theatre Dance Center that has gained a reputation for excellence in dance training. Students of Cafarella have gone on to dance with companies such as Boston Ballet, Ballet West and Joffrey Ballet to name a few. Other students have found success as Rockettes and Garrett Hawe, had his Broadway debut in Marry Poppins and presently has the role of “Albert” in the new Broadway show Newies. Students have also participated in the prestigious Youth America Grand Prix competition, where several students were offered full scholarships to ABT and Cafarella received the Outstanding Teacher Award. Cafarella has danced with notable companies such as Boston Ballet, New England Ballet, Boston Repertory Ballet, Atlantic Ballet and Ballet Arts Ensemble. Her teaching credits include: Northern Ballet Theatre Dance Center, The Boston Conservatory of Music and Dance, The Edra Toth School of Ballet and Ballet Arts Academy. training in the Russian Methodology (Vaganova System). Later on, she became proficient and certified in the Cuban (Escuela Nacional de Ballet) and English (Royal Academy of Dance) ballet methodologies. She is also an ABT® Certified Teacher—ABT® National Training Curriculum, Primary through Level 7 & Partnering. In addition, Ms. Gregori pursued a certification in “Psicoballet” (dance therapy) with Dr. Georgina Fariñas Garcia—Havana, Cuba—at IPIA (Psychiatric Institute for Childhood and Adolescence) in São Paulo, Brazil. Olivier Pardina, a former Artistic Director and Principal Instructor at the Nice Opera Ballet School, Pardina has lived in the United States since 1991. He taught at The HARID Conservatory for 20 years and has taught master classes throughout the world. Pardina has been a guest teacher at American Ballet Theatre and the Youth American Grand Prix, the world's largest student ballet competition. A native of France, Pardina began his ballet training at age 10. His training included master teachers from the Paris Opera Ballet. The Nice Opera Ballet offered the 16 year old Pardina his first professional position and promoted him to the rank of Principal Dancer by the end of his first year. Pardina is currently a principal instructor at the Miami City Ballet School Pre-Professional Division, instructing students at the Advanced Level. Alla Nikitina was born in Ukraine and began her early training at the Donetsk School of Ballet. She was invited to attend St. Petersburg State Academy of the Arts in Russia where she studied the Vaganova method of classical ballet, and was extensively trained in all methods of character dance. Nikitina graduated from the Academy with honors in 1979. She then embarked on a successful career with a number of Russian dance companies. Soon, she was performing as a soloist at the prestigious State Academic Ensemble of Dance in Russia. In 1985, Nikitina founded the Rovesnik Dance Company in Kiev, Ukraine. Her company’s numerous appearances received high awards for excellence and mastership at national and international dance competitions and festivals. This includes the first prize at the First National Choreographer’s competition in Ukraine in 1985. Nikitina was also honored with the much sought after N. Livitsky National Award for her work as a choreographer. In 1997, Nikitina moved to the United States and began working as a full time member of the faculty at Hartford Ballet, Hartt School, and BFA Dance Division of the University of Hartford. She has also been a guest teacher at a number of professional dance schools including Brass City Ballet and School of Rochester Ballet. Nikitina was invited to join Boston Ballet School as a full time faculty member in 2008. For Boston Ballet School, Nikitina has choreographed many original works including Dance of the Girls and Lesginka for Next Generation in 2012, Demonstration D’Etudiants and Alice in Wonderland for Spring Showcase, and East Meets West for Summer Dance Program in 2012. She staged several works for Summer Dance Program students, including Character Dances from Flames of Paris in 2009, Gypsy Dance in 2010, and Aragon Jota in 2011. Bree Nasby grew up in West Palm Beach, Florida. She attended A.W. Dreyfoos Jr. School of the Arts with a focus in dance. She holds a BFA in dance performance from SUNY Purchase College where she spent a semester abroad studying at London Contemporary Dance School. She was a part of San Francisco based company tinypistol in 2014-2015. In NYC she has danced with Molly Mingey Projects in addition to founding private parts, with Quinn Dixon in 2015. Oxana Kiyanenko, born in St. Petersburg (former Leningrad) studied under Altynai Asylmuratova, Vasilieva Marina, Tarasova Natalia and Desnitskiy Vadim in the Vaganova Ballet Academy where she graduated in 2006. Following graduation, Kiyanenko was offered a contract with Vienna State Ballet. Kiyanenko has been with Vienna State Ballet since 2006. Kiyanenko has danced the openings on various occasions for the “Wiener Opernball”. Kiyanenko finished the Lesgaft National State University of Physical Education, Sport and Health in 2013 with a degree in Aesthetic Gymnastic. Assisting a rhythmic-gymnastic coach and a choreographer at the Rhythmic Art Sport Center (in Miami). Erin B Haag, a graduate of A.W. Dreyfoos School of the Arts, studied dance at The Dance Center, Ballet Florida, North Carolina School of the Arts, Broadway Theatre Project, and Webster University's Conservatory for Theatre & Dance. It was Erin's love of dance, which led her to Pilates because of its unique ability to strengthen and condition the dancer's body. 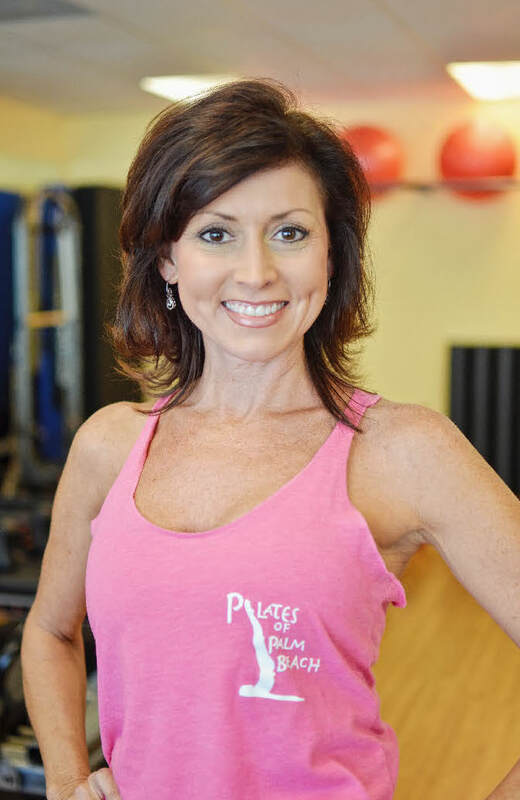 Erin is a Classically Certified Pilates Instructor through Power Pilates and the Pilates Method Alliance, and she is also a certified Teacher Trainer, which means she certifies aspiring Pilates instructors to teach. In 2009, Erin opened Pilates of Palm Beach and is proud to be recognized as the premiere Classical Pilates studio in the area. Erin enjoys training dancers and athletes alike in Pilates and is excited to bring the Classical Pilates Method to Ballet East. Shelley studied dance at Brenau University, where she performed with the Gainesville Ballet Company. She holds a degree in Marketing from Florida State University, and previously worked in direct sales, marketing and public relations. Caroline Schwarz is a certified RYT200hr Yoga Instructor. Ms. Schwarz is New York native whose passion is connecting our minds with our bodies, and finding the balance that allows us to see new perspectives in this world. Ms. Schwarz creates her classes inspired by her Anatomy based training, where she uses her knowledge of the anatomical body and energy centers, to develop sequences that strengthen the body and help expand each student’s flexibility and balance to their most comfortable level. Be prepared to explore deep within your inner self and doing it all with a smile on your face!